Timeless red brick home in Morrison. 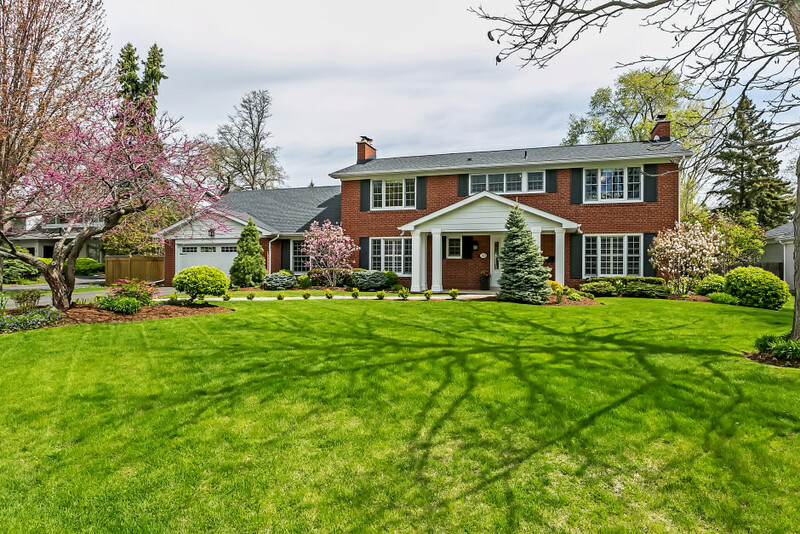 This home’s classic exterior and family-friendly floor plan will stand the test of time, with thoughtful updates in recent years including a tasteful addition designed by Bill Hicks and completed by Platt Fine Homes. An elegant covered porch frames the single French door entry with beveled glass sidelights. A traditional living room with oak hardwood flooring and wood-burning fireplace with granite surround opens to the formal dining room with crown moulding and central chandelier inset a plaster medallion. The gourmet kitchen features custom Euroline cherry cabinetry, granite countertops, and high-end appliances. 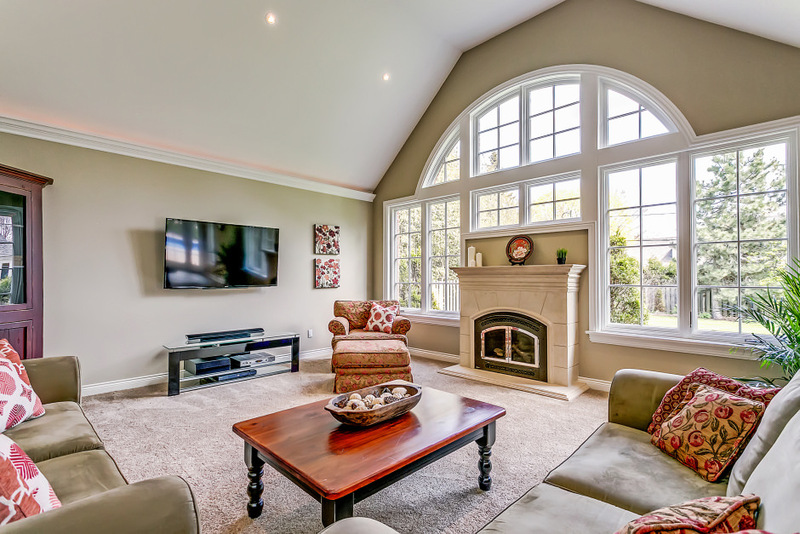 A spacious breakfast area with walkout overlooks the heart of the home – an impressive family room with vaulted ceiling and gas fireplace with custom cast limestone surround and mantel. Palladian windows overlook the private rear yard, with in-ground pool and professional landscaping serviced by a programmable irrigation system. The many smart updates to the home include a spacious mud/laundry room, creating inside access to the double car garage. A third fireplace is located in the cozy den, framed by sophisticated millwork and built-in bookshelves. Upstairs there is ample room for any size of family, with four bedrooms and two full bathrooms. The master retreat has been transformed, with a walk-in closet with custom built-in storage, and double doors opening to your spa-like ensuite with heated porcelain tile flooring, oversized walk-in glass shower, and 66” therapeutic heated massage tub. 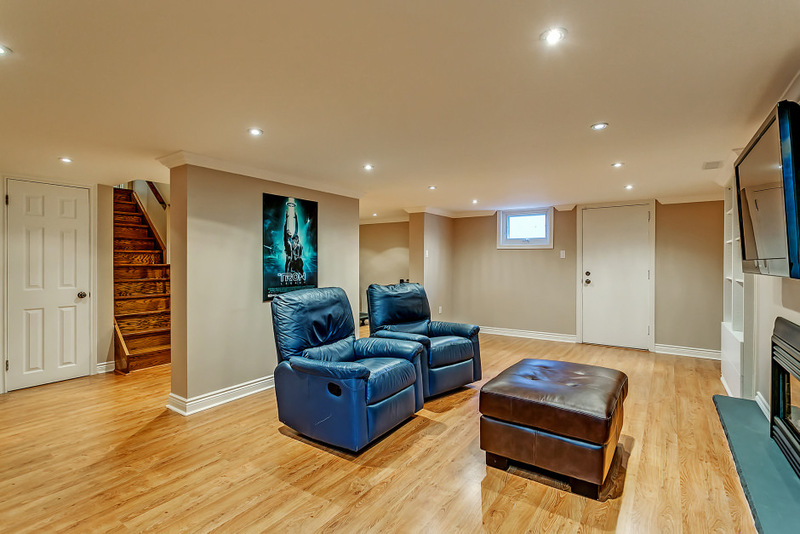 A recreation room with gas fireplace, exercise room, and convenient secondary powder room are located in the partially finished walk-up lower level. 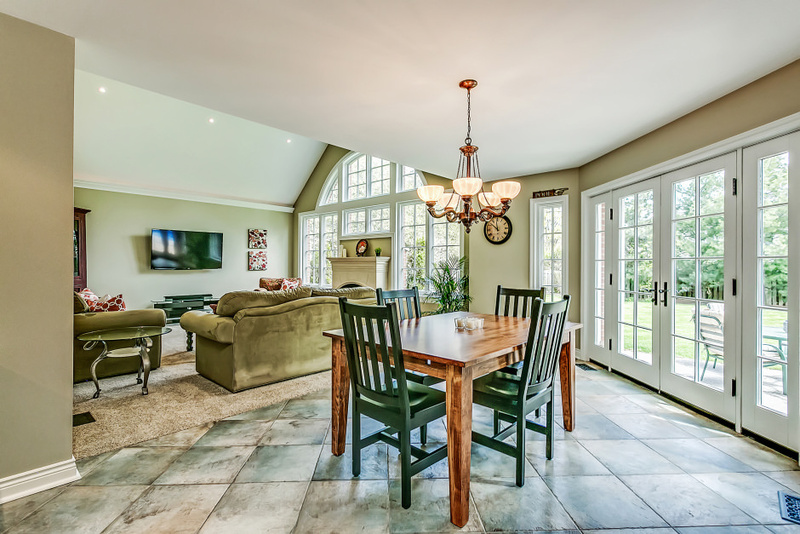 Situated in one of the most desirable areas of South East Oakville, this home is the total package. Simply move in and enjoy!